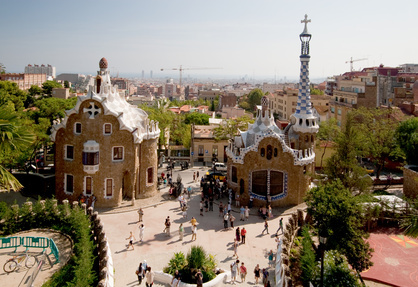 Being ranked by Monocle as the world’s 16th most livable city has boosted tourism in Barcelona even higher than it was before; not that the city needed the help! After Madrid, this is Spain’s second most populated city. Although one might assume that this exciting Spanish city would cost a fortune to explore, there are actually many things that you can do here for free. Believe it or not, several museums in Barcelona offer free days as well as free lectures and seminars. Sunday is often one of these days; be sure to get there early as lines can get long later in the day. A few to enjoy include Picasso Museum, Natural History Museum, Maritime Museum, MACBA and Palau Robert. Narrow streets that line beaches, old ports and boats found in Barcelona really define the character and rich history of this city. This was once the place where the local fisherman and their families lived. Today it’s a haven for tourists and locals who want to enjoy the outdoors. There are an abundance of eateries along this strip if you get hungry or you can pack a lunch to eat on the beach. Although there are some steep steps to venture up to get into the garden, you are rewarded with some of the best views of the city. Whether you’re in need of being surrounded by lush greenery or if you just need to get away from the hustle and bustle of the streets, Barcelona’s Jardi Botànic is the place to go to enjoy a little tranquility. Also referred to as The Fountains of Montjüic, Carles Bugas engineered this beautiful site many decades ago in 1929 and it remains one not to be missed. The fountain itself sits on a raised platform so no matter where you stand, you’re sure to get great views of the changing shape of the water. This boulevard is only just over 1 km long yet it’s typically the most exciting place to be in the city. It’s made up of many ramblas that all offer their own themes, reflective in cuisine and art. Here you’ll find statues, artists and street performers to enjoy including fortune tellers, poets and musicians. This park is a place you can easily spend a day exploring without spending any money or getting bored. Beautifully manicured gardens are complemented by impressive buildings like the Castel dels Tres Dragons. The Parliament building can be explored on weekends here and the museums offer free days sometimes as well. June through September there are jazz programs to enjoy in the evenings. If you’re visiting Barcelona on a weekend you must keep your Saturday morning open for the Port Vell Antique Fair. This modern beachfront boulevard completely transforms into an antique-lover’s paradise. Entry is free to walk along many rows of old lace, porcelain and collectables. This free art gallery features visiting and permanent exhibitions of all styles and eras. Open daily with varying hours, this is a great place to spend a day for free. If you get hungry, there is an inexpensive café with an outside terrace to enjoy coffee and homemade cakes. Interestingly, this is voted the best place in the city to catch a sunset. The park sits on a hillside and features intriguing mosaic designs, colorful status, a large terrace and forested walking paths lined with benches. Artisans can be found selling hand-crafted jewelry or there’s a souvenir shop if you decide you want to buy something to take home with you. When one thinks of traditional Spanish architecture, this area often comes to mind. Some of the most beautiful buildings in the world are found here like the mysterious Chapel of Santa Agatha built back in the 14th century. This Gothic Quarter is located right off La Rambla and features narrow streets, ancient buildings, market stalls, bars and restaurants. Previous post: Do I Need Travel Insurance if I Have a EHIC?